I can't resist old silver. 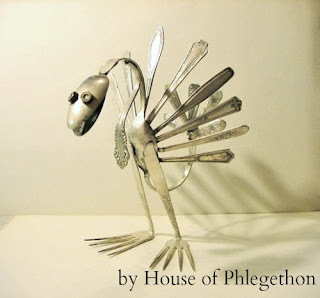 Be it a silver plate tray, sterling flatware, or random serving pieces, the patina of vintage silver is enchanting. But what does one do with silver aside from sticking it in the drawer, dooming it to darkness? How can over-looked silver become a renewed treasure? 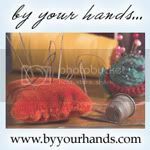 These fabulous Etsy up-cyclers can help! Leave A Message Designs made this beautiful message board using chalkboard paint. 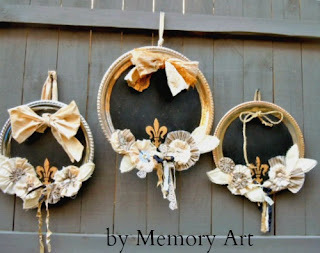 View more beautiful up-cycled items from Leave A Message Designs here. Memory Art By Lisa took the silver lining chalkboard to a more romantic level with this trio. Browse her talents here. 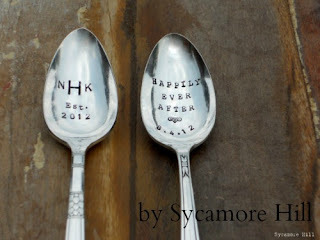 Silver flatware is an easy find but repurposing the delicate art ware can be intimidating. 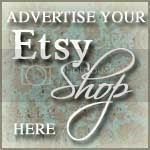 These Etsy artists have the knack and are very affordable! Sycamore Hill returns silver to heirloom status with personalized up-cycling. 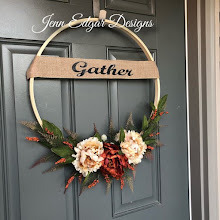 Be prepared to spend awhile in this Etsy store! Talk about unique gift giving!! 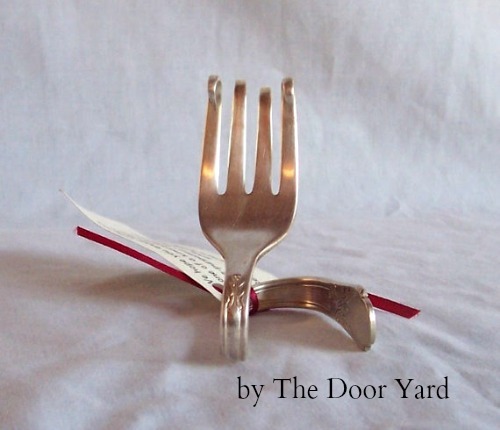 The Door Yard makes drool-worthy everyday helpers from old tableware. The intricate elegance of silver patterns naturally lends itself to jewelry. 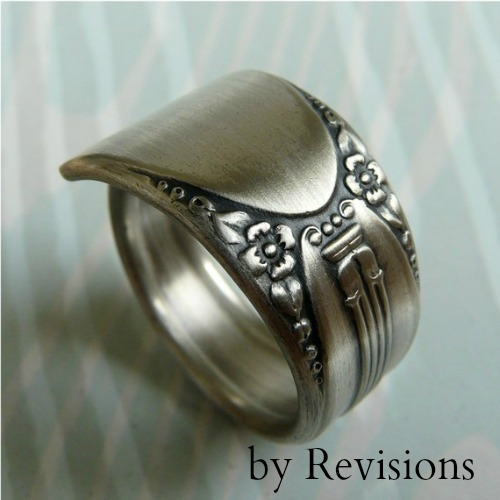 Rings by Revisions are attractive in both style and price! 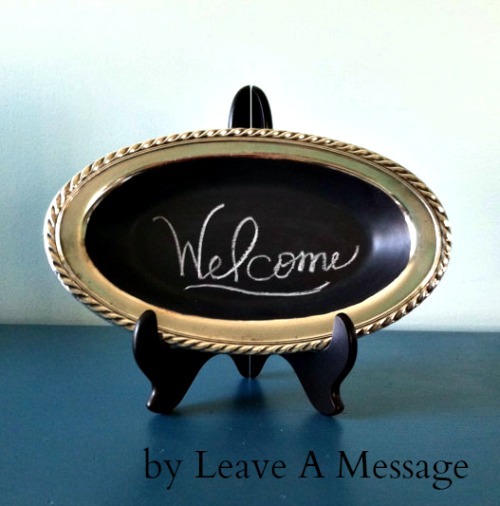 Whether you want an expert's input or help in up-cycling your silver, or love to buy the look from fellow artisans, these featured sellers are a great place to start!